To be performed in any order, in any space and in any combination, Changing Steps consists of ten solos, five duets, three trios, two quartets, and two quintets. 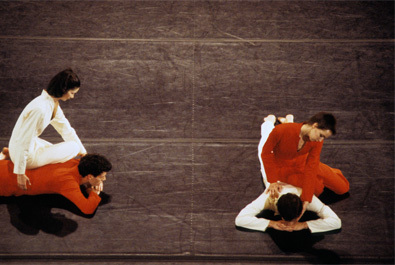 The dances could either be performed in sequential fashion, one after another, or overlapped, with as many of the individual dances as possible taking place simultaneously. 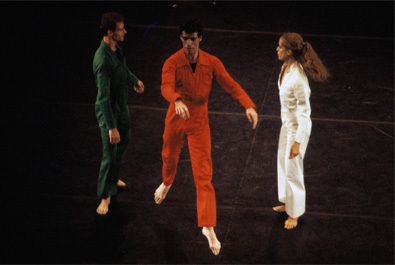 Changing Steps was first performed on March 22, 1973 at the Brooklyn Academy of Music as part of Event #65, with music by David Behrman, John Cage, Gordon Mumma and David Tudor, and costumes designed by Charles Atlas. 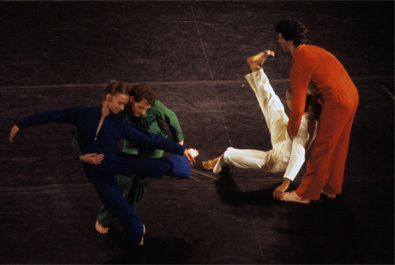 Changing Steps was first performed as a repertory dance on March 7, 1975 at the Detroit Music Hall, with John Cage’s Cartridge Music and new costumes by Mark Lancaster. 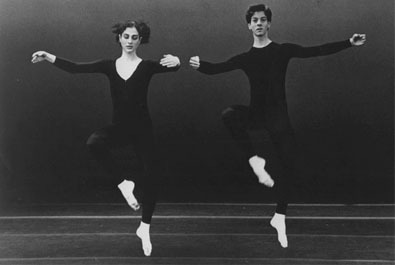 The dance was presented in combination with Cunningham’s solo Loops and entitled Changing Steps/Loops.